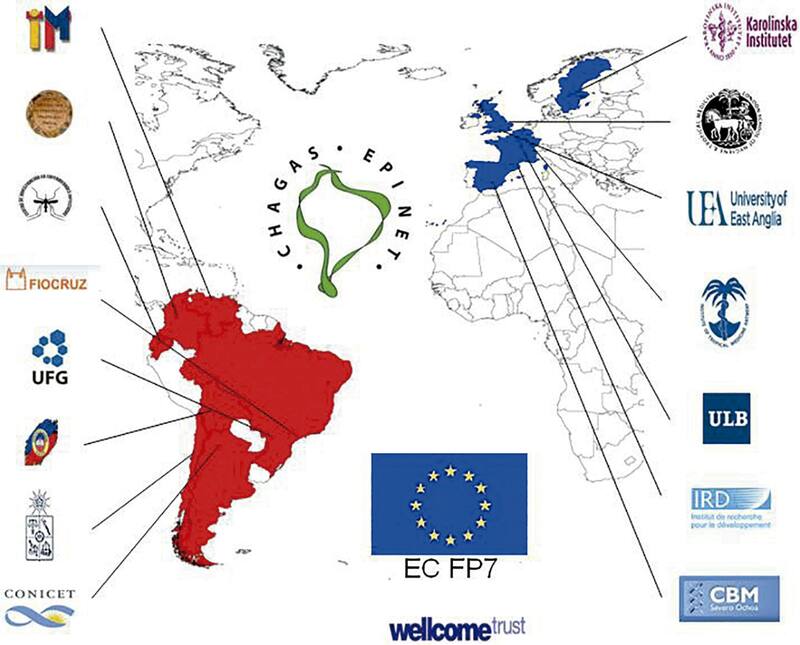 This review is written as a tribute to the fundamental role that the Instituto Evandro Chagas (IEC) has played in research on Trypanosoma cruzi and Chagas disease and in thanks for the generous support while the author was based at the IEC. A brief history of Chagas disease is given and of early work at the IEC. There follows an account of the discovery, in Bahia State, Brazil, of the remarkable genetic diversity of T. cruzi. The core of the review summarises: research achievements at the Institute on the transmission cycles and molecular epidemiology of T. cruzi, including triatomine vectors and mammalian hosts in the Brazilian Amazon basin; the proof that T. cruzi has an extant capacity for genetic exchange, and wide ranging international collaborations that were encouraged by the platform of research excellence established at the IEC. Detailed description of subsequent research on the molecular epidemiology of T. cruzi, and parallel research on Leishmania, is beyond the scope of this review but can be found in the referenced scientific literature. Despite the overall success of the Southern Cone initiative to control Triatoma infestans, challenges remain, such as persistent transmission in the Gran Chaco region. There has been astonishing research progress in molecular genetics and comparative genomics. In the author's opinion, there is scope for the IEC to play a renewed role in Chagas disease research, subject to funded international exchange programmes and unimpeded exchange of reagents, such that the latest research methods may be applied to obtain a deeper understanding of the survival and behaviour of T. cruzi in its natural hosts and triatomine vector species. Keywords: Chagas Disease; Trypanosoma cruzi; Triatominae; Genetic Variation; Molecular Biology. A description of the earliest history of triatomine bugs and Chagas disease is given elsewhere1, and summarised briefly here. Early Spanish and Portuguese chroniclers gave accounts of the large bloodsucking bugs, which we now know as triatomines (Reduviidae: Triatominae), with various common names such as ''barbeiros'' and ''vinchucas''. Between the 16th and 19th centuries, graphic descriptions of the biting habits of triatomines are given by missionaries and naval officers, for example Reginaldo de Lizárraga y Ovando (1540-1614) and Félix de Azara (1742-1821). The first taxonomic treatise on triatomines was produced in Sweden in 1773 by Charles de Geer (1720-1778). The generic name Triatoma was assigned by Laporte in 1833 based on damaged museum specimens with only three of the four antennal segments. The naturalist Charles Darwin described being attacked by triatomine bugs in Argentina, although, contrary to speculation, it is very unlikely that he suffered from Chagas disease. The scholarly monograph of Herman Lent and Pedro Wygodzinsky published in 19792, gives a description of many known triatomine species. There are early descriptions of clinical entities that might be attributed to Chagas disease, long before discovery of the disease agent, Trypanosoma cruzi. Most notable is the widespread presence of "Mal de Engasgo", in Brazil, with dysphagia or oesophagism. The recovery of T. cruzi DNA from mummified human tissues, indicates that human infections occurred at least 2,000 years ago1. The extraordinary discoveries of Carlos Chagas and his colleagues have been described in many previous reviews, books from Latin American and external editors, and celebrated through major events. Most striking aspects of the discoveries are: the encounter with T. cruzi at first from the intestinal tract of Panstrongylus megistus, then in the marmoset Callithrix penicillata exposed to the bugs and only subsequently from patients in Lassance; the detailed observations on the life cycle, including the intracellular forms, by Gaspar Vianna, and the wide-ranging work on reservoir mammalian hosts and the associated pathology1,3. Beautiful works of art on triatomine species and the life cycle of T. cruzi can be found in early issues of the Memórias do Instituto Oswaldo Cruz. In 1912 Emile Brumpt demonstrated that the transmission of T. cruzi was by contamination of mucous membranes by infected triatomine faeces. Also in 1912, Carlos Chagas was awarded the prestigious Schaudinn Prize and he was twice nominated for the Nobel Prize4. Cecil Hoare in his superb monograph on the trypanosomes of mammals, gave just one of many published accounts in Portuguese, Spanish or English, of the phases of these discoveries5. The repeated isolation of T. cruzi from some of the earliest infant patients of Carlos Chagas led to two remarkable and still not fully understood observations on T. cruzi in the human host. Firstly, without successful treatment the organism usually has the capacity to evade the immune response and survive lifelong in infected patients. Secondly, only a proportion of patients, estimated at around 30%, go on to develop ECG abnormalities and severe chronic chagasic myocarditis (Figure 1). A smaller proportion of symptomatic patients may suffer chagasic megaoesophagus and or megacolon, particularly in the Southern Cone region of South America but apparently rarely in northern South America and Central America. The Instituto de Pathologia Experimental do Norte was founded by Carlos Chagas to study the regional distribution of leishmaniasis and other diseases in Brazil, under the leadership of his son Evandro Chagas. In response to the tragic death of Evandro Chagas in a plane crash in 1940, the Institute was renamed the IEC. Decades of research on the mammalian reservoir hosts of T. cruzi with substantial early contributions by M. P. Barretto and by L. M. Deane have established that T. cruzi or T. cruzi-like trypanosomes can be found in more than 150 mammal species of at least seven orders. Part of the research of Leônidas Deane focused on trypanosomes in the Amazon Region, including the environs of Belém, Pará State1,6. Ralph Lainson and Jeffrey Shaw hosted by the IEC and funded by the Wellcome Trust, undertook extensive research on leishmaniasis in the Brazilian Amazon Region, describing the two Leishmania subgenera Leishmania and Viannia, with distinctive patterns of development in the sand fly, and divergent clinical presentations in experimental hamster infections7. As part of the isolation of Leishmania from sylvatic animals, particularly searching for the natural reservoir hosts of both Leishmania and Viannia species, Lainson and Shaw repeatedly encountered T. cruzi in blood cultures from sylvatic mammals, and also described an outbreak of four simultaneous acute cases of Chagas disease in a suburb of Belém, almost certainly acquired by oral transmission from an invading adult sylvatic triatomine8. In 1971, having completed a PhD on experimental studies of T. cruzi, the author was invited by Professors Aluísio Prata and Philip Marsden to join a programme of field research on Chagas disease in Bahia State, Brazil. The location of the research project was the village of São Felipe, in a region highly endemic for Chagas disease. Panstrongylus megistus was collected from heavily infested houses, and Triatoma tibiamaculata was discovered in its sylvatic ecotope of large arboreal bromeliad epiphytes, which were common nesting sites of the opossum, Didelphis albiventris. The two triatomine species, the opossums and the local inhabitants of the houses, carried T. cruzi infection. 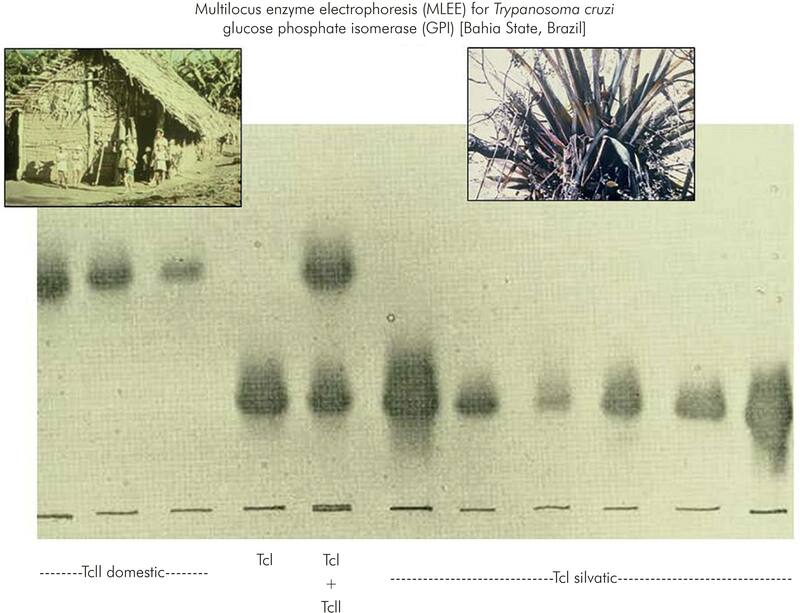 At about that time, the method of multilocus enzyme electrophoresis (MLEE), which was in use for research in human genetics, was beginning to be applied to the African trypanosome, Trypanosoma brucei. Accordingly, at the invitation of Dr David Godfrey, the T. cruzi isolates from São Felipe were characterised by MLEE. The results were remarkable. The T. cruzi strains isolated from the domestic cycle of transmission were obviously and dramatically distinct from T. cruzi strains in the sylvatic cycle9 (Figure 2). So much so that 11 of 18 enzymes used as targets in the MLEE were quite distinct between the domestic and sylvatic groups of T. cruzi isolates. Although phenotypic diversity within the species T. cruzi, for example in virulence to experimental animals, had been described previously, this degree of radical intraspecific genetic diversity had not been suspected. The distinct domestic and sylvatic strains of T. cruzi were named respectively as zymodeme 1 and zymodeme 2 (ZI and ZII); in the current nomenclature they are known as T. cruzi I (TcI) and T. cruzi II (TcII). This landmark study in São Felipe changed perceptions of T. cruzi and opened up a plethora of opportunities for wide investigations of the phylogeography and molecular epidemiology T. cruzi and Chagas disease10. Following the successful and notable outcome of the research in São Felipe, in 1975 the author was invited by the eminent parasitologist, the late Professor Ralph Lainson FRS, and the institutional director Dr Gilberta Bensabath, to join the Wellcome Trust Parasitology Unit, at the IEC. The aim of the secondment was to establish a laboratory with the capacity to perform MLEE on T. cruzi and Leishmania species at the IEC, for in depth analyses of transmission cycles and taxonomic relationships. Part of a laboratory was designated for the new initiative. The author was joined by Adelson de Souza for laboratory and field support, by José Aprigio Nunes Lima as technical support, and Francisco Gomes and R. Nivaldo de Almeida were recruited as field research assistants. Marinete Póvoa arrived in 1977, initially as a volunteer, with an astonishing capacity for accurate and rapid performance of MLEE. Aldo Valente joined in 1981. The entire laboratory (Chagas disease laboratory) became dedicated to the research programme, with generous encouragement from staff of the IEC, and sustained support from Ralph Lainson, his colleagues Jeffrey Shaw and Roberto Naiff, and Dr Habib Fraiha. Marinete Póvoa went on to perform a PhD at the London School of Hygiene and Tropical Medicine (LSHTM) and played a key role in developing the IEC international collaborations on malaria. 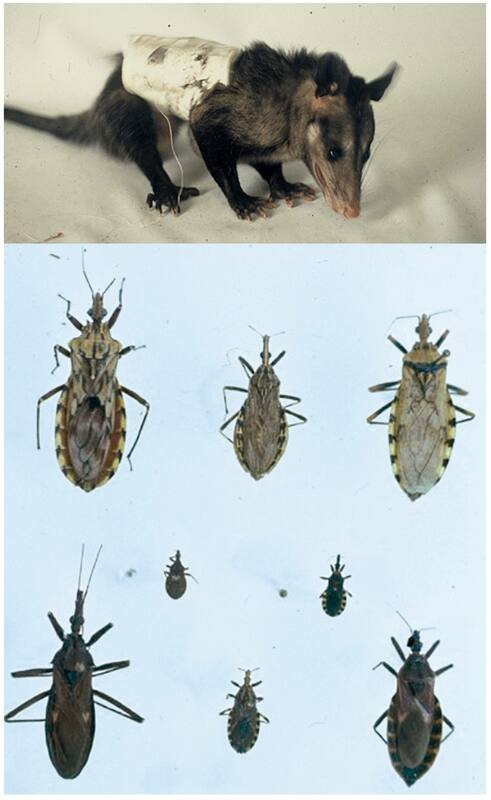 The application of MLEE to T. cruzi isolates from a wide range of sources in the Brazilian Amazon revealed predominance of the genotype T. cruzi I (TcI), among sylvatic mammals and triatomine bugs, as in the sylvatic transmission cycle in São Felipe. Nevertheless, two new MLEE profiles were discovered to be present in the Brazilian States of Pará and Amazonas. With the current nomenclature these genetic lineages are now named as TcIII and TcIV. The small oral outbreak of four acute cases in the suburb of Belém, originally described by Lainson and Shaw, was shown retrospectively to be due to infection with TcIV11. With the IEC as a base, there followed extensive field research trips, much more widely in Brazil and in other Latin American countries, including Venezuela, Bolivia, and Chile. 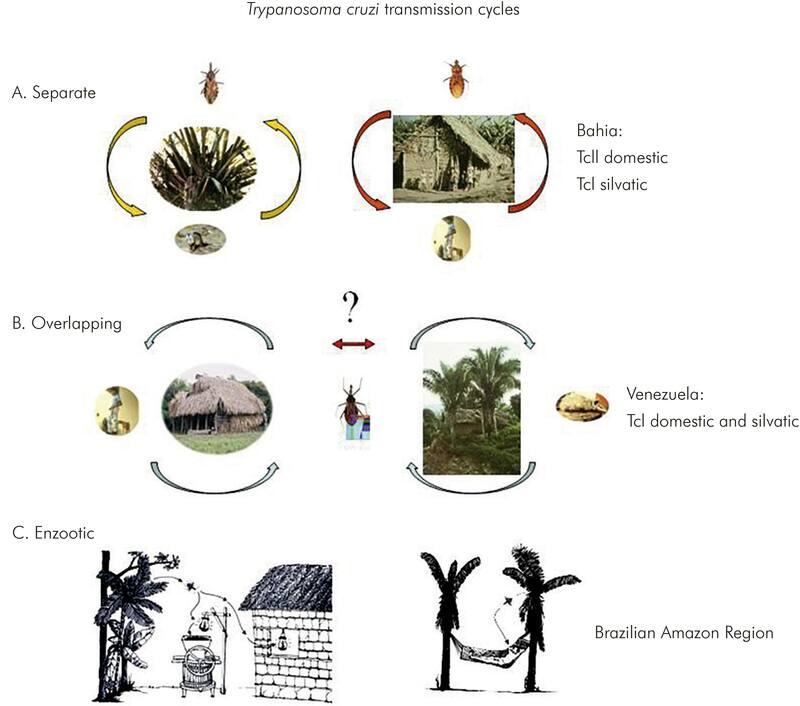 In Venezuela surprisingly it was discovered that TcI, which had been found to be sylvatic in São Felipe, was the agent of human Chagas disease in Venezuela and present in the sylvatic cycle, involving Rhodnius species inhabiting palm trees. This shared distribution of TcI was taken to imply that there was a link between the sylvatic and domestic transmission cycles of T. cruzi in Venezuela12. Characterisation of T. cruzi isolates from other countries, in particular Bolivia and Chile, revealed the presence of two further principal genetic lineages, characterised by multiple MLEE banding patterns of monomeric enzymes such as phosphoglucomutase and dimeric enzymes such as glucose phosphate isomerase, the latter having a triple banding pattern, with three equidistant bands and the central band with greater intensity. These two genotypes are now known as TcV and TcVI. TcV and TcVI were shown to be abundant in Chile and in Bolivia. The work in Bolivia was performed in collaboration with Michel Tibayrenc, who had visited the Chagas disease laboratory at the IEC and had been stimulated to begin working on MLEE characterisation of T. cruzi using cellulose acetate membranes instead of a starch gel matrix13. Thus research at the Chagas disease laboratory of IEC had revealed six distinct T. cruzi genetic lineages based on MLEE profiles. The different distribution of the T. cruzi genetic lineages among transmission cycles, quite distinct in São Felipe, Brazil and in Venezuela, led to the concept that genotyping of T. cruzi strains could be used to assist the design of control programs. Thus, where different T. cruzi strains occurred in domestic and sylvatic transmission cycles, the cycles could be considered as non-overlapping or separate, such that disease control by insecticide spraying of the dwellings could proceed without fear of immediate reinvasion of triatomine bugs from the sylvatic habitats. In contrast, where T. cruzi strain genotypes were shared between the cycles, with a putative common vector species infesting houses and sylvatic habitats, greater sustained vigilance and surveillance would be required in control programs to detect reinvasion by sylvatic triatomines14. Thus, transmission cycles were defined as nonoverlapping or separate as in São Felipe, or as overlapping, as in parts of Venezuela. In the Amazon Region, where triatomines did not form colonies in houses but T. cruzi was highly prevalent among sylvatic mammals, the transmission cycle was described as enzootic (Figure 3)14. In Venezuela, where the species colonising houses was Rhodnius prolixus, it had been proposed that the Rhodnius present in local palm trees may be entirely Rhodnius robustus, and therefore of no relevance to controlling household colonies. In contrast, a microsatellite analysis of Rhodnius specimens captured from within houses and from infested palm trees demonstrated that R. prolixus was certainly present in the palm trees. Furthermore, in some localities R. prolixus haplotypes were shared between palm trees and adjacent houses, supporting the occurrence of reinvasion, as well as dissemination of R. prolixus from house to house and between communities15. The understanding that Triatoma infestans, the main vector species in the Southern Cone countries, had spread from Bolivia throughout the Southern Cone, where it was largely present only in houses and peridomestic habitats, was a guiding principle of the strategy behind the successful international Southern Control Initiative. However, it has since been discovered that T. infestans is sylvatic more widely in the Gran Chaco region of Paraguay and Argentina, and might therefore be an occasional source for re-emergence of household infestations following control campaigns. Megaoesophagus and megacolon had been reported as relatively common syndromes of chronic Chagas disease, associated with chagasic cardiomyopathy in the Southern Cone region countries of South America, and the symptoms of megaoesophagus were known there as "Mal de Engasgo", as noted above (Early history), long before the discovery of T. cruzi. The megasyndromes have been described by many clinicians and eminent pathologists, with a basic but not entire understanding of the pathogenesis. Successful surgical procedures have been devised to treat large numbers of megaoesophagus and megacolon cases in the Southern Cone region. In contrast to this geographical distribution of symptoms of chronic Chagas disease, chagasic megasyndromes appear to be virtually unknown or very rarely reported in northern South America and Central America. 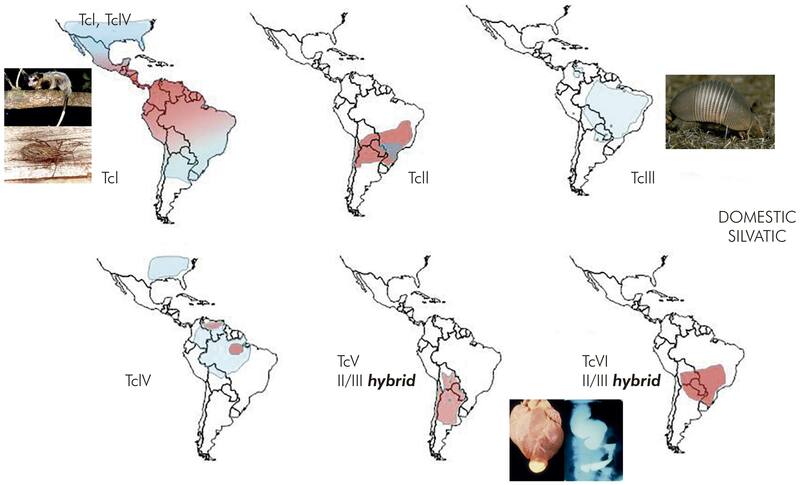 In 1981, while still working at the IEC, Miles et al12 noted that this geography of clinical presentation of Chagas disease coincided with the broadly different records of TcII, TcV and TcVI in central and southern South America versus TcI in northern South America and Central America. This was taken as circumstantial evidence that the different clinical presentations, specifically presence or absence of megasyndromes, might be associated with the different genetic lineages of T. cruzi. Nevertheless, this inference remains unproven, and applies only to the megasyndromes, not to chagasic cardiomyopathy, as reviewed by Messenger et al16. Upon secondment to the IEC the author was intent upon discovering why triatomine bugs were not colonising Amazonian houses. Unassisted manual searches of conceivable triatomine habitats in the Amazonian forest surrounding the City of Belém led to the capture of almost no triatomine bug specimens. With the exception of dissection of palm trees, there were no practical methods to locate bug infested animal nests or refuges. To solve the problem of locating mammal refuges a method was devised in which spools of thread in plastic containers were bound with adhesive tape to the lower back of animals previously captured in mammal traps. The end of the thread was tied to a tree and the animal released at the precise location of capture. The following day the thread was then followed to track the animal back to its refuge. This method, named spool-and-line mammal tracking, enabled recovery of diverse animal species from their nests or refuges, including Didelphis marsupialis and the armadillo Dasypus novemcinctus. The first Didelphis released with a primitive spool-and-line tracker was recovered from its nest with two triatomine species, Microtriatoma trinidadensis and Rhodnius pictipes, the first apparently previously unreported from Brazil and both species infected with T. cruzi. With the aid of this tracking method and supplementary manual habitat searching it became possible to collect several species of triatomines from their natural ecotopes17 (Figure 4). Spool-and-line tracking led to the discovery and description of a new triatomine species Rhodnius paraensis in the canopy arboreal tree holes of the spiny rodent Echimys chrysurus. With the same tracking method in the forests of Rio de Janeiro the ecotope of Panstrongylus megistus was described, as arboreal tree holes of Didelphis marsupialis. It became apparent that the reason triatomine bugs did not colonise houses in the Brazilian Amazon region was that the species present were not those that readily adapted to the domestic environment. A refined mammal tracking device was developed, using precision wound spools that did not need to rotate. Spool-and-line mammal tracking has now been used not only to capture triatomines but also to study mammalian ecology, and it can be applied to quite small mammal species. Subsequently, the late François Noireau designed a triatomine trap that consists of a plastic container covered in double sided sticky tape with a live mouse and food inside to act as bait; the Noireau trap is left out overnight and is valuable for surveillance of putative triatomine habitats, particularly palm trees18. This ability to recover triatomine bugs from their natural habitats, revealed the extraordinary adaptation to their natural ecological niches, including exquisite camouflage, for example of adult P. lignarius matching the coloration and patterning of the bark of trees on which they were found19. This intensive field research also allowed description of the particular habitats of Rhodnius pictipes and Rhodnius robustus in three species of palm trees. Trypanosoma rangeli infection of Didelphis marsupialis and other mammal species was also found to be widely distributed in Brazil, partially in collaboration with the late Jorge Arias of the Instituto Nacional de Pesquisas de Amazônia (INPA) in Manaus, Amazonas State, Brazil. After the definition of the six genetic lineages of T. cruzi at the IEC by MLEE, a plethora of new DNA-based methods were applied for the differential characterisation of T. cruzi isolates. At first these were principally applied to the same relatively small numbers of isolates collected at disparate geographical locations, largely by Miles or Tibayrenc and their collaborators. The methods included: polymerase chain (PCR) amplification of specific DNA targets and sizing of the resultant amplicons, with or without restriction endonuclease digestion; microsatellite analysis (MLMT) and multilocus sequence typing (MLST) in which the DNA sequences of amplified regions of housekeeping genes were determined by Sanger sequencing and compared20,21. In conjunction with the early stages of PCR based genotyping, a confusion of nomenclature arose, and 'rediscovery' of the genetic diversity of T. cruzi that had previously been described in publications arising from the Chagas disease laboratory at the IEC. The penultimate of these nomenclatures was TcI, TcIIa, TcIIb, TcIIc, TcIId and TcIIe, corresponding respectively to TcI, TcIV, TcII, TcIII, TcV and TcVI of the current and now well established terminology. The present TcI to TcVI is an improvement on preceding nomenclature, because TcIIa and TcIIc had some affinities with TcI and therefore did not logically fit as subgroups of TcII. The nomenclature was agreed by international consensus. TcI to TcVI are also referred to as genetic lineages or, particularly by Tibayrenc and collaborators, as discrete typing units I to VI (DTUs I to VI). A virtually comprehensive history of the evolution of this terminology is described in the review by Messenger et al16. These TcI to TcVI genetic lineages accorded with the divisions originally defined by MLEE at the IEC. In 1990 Tibayrenc et al22 launched the clonal theory of parasitic protozoa indicating that genetic exchange was either absent or rare and of little or no significance in the molecular epidemiology of T. cruzi and several other species of parasitic protozoa. For T. cruzi this was largely based on linkage disequilibrium from population genetics analysis of the relatively small numbers of T. cruzi isolates that had been collected from widely separated geographical areas, rather than from larger numbers of sympatric isolates of a single T. cruzi lineage in a natural transmission cycle. However, the MLEE profiles of TcV and TcVI were typical of the profiles that would be expected for interlineage hybrids between TcII and TcIII. During field projects in the Serra dos Carajás by the Chagas disease research team of the IEC multiple sympatric isolates of the TcI lineage had been collected from sylvatic Didelphis marsupialis and Rhodnius pictipes. Furthermore, MLEE, for the monomeric enzyme phosphoglucomutase of biological clones derived from these isolates showed isoenzyme profiles typical of parental strains and expected intralineage TcI products of genetic exchange23. Miles lacked confidence in rigorous application of the clonal theory to T. cruzi and accordingly determined to attempt experimental genetic crosses between putative parental biological clones of TcI isolated from Serra dos Carajás. Interlineage experimental crosses had been attempted previously by copassage of two different lineages through triatomine bugs. However, at that time there was no means of selecting hybrid progeny. The development of genetic transformation methods enabled the parental clones for the TcI intralineage experimental cross to be manipulated such that they each carried different drug resistance markers. 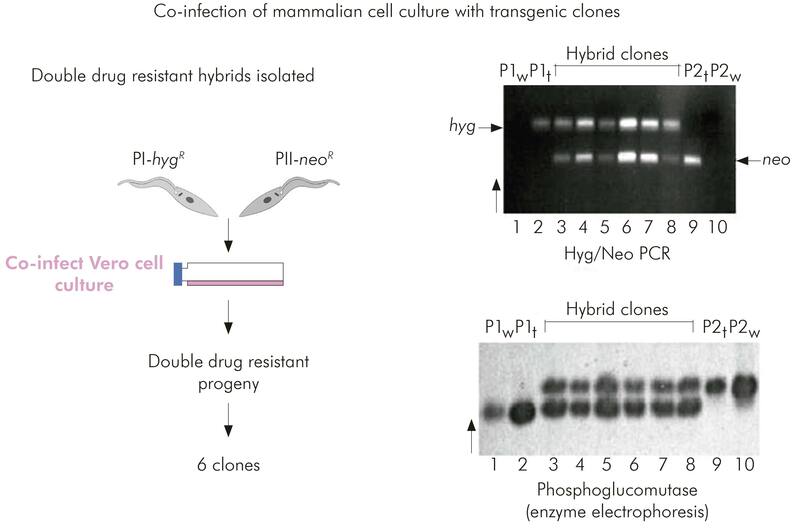 Hybrid progeny could then be selected by their survival in culture media containing both drugs. Six progeny clones were obtained from copassage of the two transgenic parental clones in mammalian cell cultures. The progeny were resistant to both drugs and proven to be hybrids by microsatellite analysis, MLEE and multilocus sequence typing. Thus it was proved that T. cruzi had an extant capacity for genetic exchange24 (Figure 5). In 1983 the author left the IEC for three reasons. Firstly because so much had been achieved and the local major challenges on Chagas disease research that could be addressed with the available technologies were not clear at that time. Secondly, to acquire training in the rapidly advancing fields of molecular biology and molecular immunology and to apply them to fundamental research on T. cruzi. Thirdly because there was a need to establish a home in the United Kingdom, and that was becoming increasingly difficult. At the LSHTM a laboratory for production of monoclonal antibodies was introduced, and new funding from the Wolfson Foundation established a molecular biology research unit. Marinete Póvoa successfully completed a PhD on malaria at LSHTM and returned to the IEC to pursue an international programme of malaria research. Work on Chagas disease at the IEC Chagas disease research laboratory continued under the leadership of Aldo Valente. This focused on sylvatic transmission cycles of T. cruzi in the Amazon Region and the sporadic focal outbreaks of human infection acquired from sylvatic sources. It was discovered that the sylvatic triatomine species Panstrongylus geniculatus had the capacity to invade peridomestic pig sties, although P. geniculatus had previously been captured from burrows of the armadillo Dasypus novemcinctus and proved to require very high humidity to survive in laboratory colonies. Of special interest was the increasing evidence of small oral outbreaks of acute Chagas disease, acquired either from food exposed to adult sylvatic triatomines light-attracted into houses or from consumption of plant juices, especially of the açaí palm, contaminated by triatomine bugs25. Surveillance for such outbreaks and measures to prevent them remains a remit of the Chagas disease research laboratory. Progress with DNA-based molecular methods for studying genetic diversity, population genetics and genetic exchange in T. cruzi led to the European Commission (EC) funded ChagasEpiNet research network, coordinated from LSHTM (Figure 6). The aim was to obtain a deeper understanding of the molecular epidemiology of Chagas disease and the extent and implications of genetic exchange in T. cruzi. The international collaborators produced a large body of relevant published work, and an assessment of the wider geographical distributions and ecological associations of the six genetic lineages of T. cruzi26,27,28,29,30,31,32,33,34 (Figure 7). Most recently, this work has included the development of peptide-based T. cruzi lineage-specific serology for discovery of the reservoir hosts of TcII, TcV and TcVI35,36. This later research is beyond the scope of the current text but updates can be found in key recent reviews or by searches with appropriate keywords in PubMed26-34. Although the IEC was not directly involved in ChagasEpiNet, it was the research at the IEC, in conjunction with subsequent developments in molecular technologies that provided the platform for the productive ChagasEpiNet international initiative. As mentioned before, secondment of the author to the IEC was not only to apply MLEE to T. cruzi but also to Leishmania10. The parallel programme of research on Leishmania is beyond the scope of this review but was also highly productive, and similarly led to the EC LeishEpiNetSA research network, for which the outputs can also be found in the scientific literature. The most important progress on Chagas disease has undoubtedly been the success of the Southern Cone initiative to control T. infestans. This initiative was successful for the following reasons: throughout most of the endemic region T. infestans was domestic or peridomestic, without sylvatic sources to replenish household colonies; availability of a proven, simple and accepted disease control strategy (insecticide spraying and serological surveillance, including screening transfusion blood); charismatic Brazilian leadership; shared international political will and concurrent action across district/national boundaries; unimpeded resources; international monitoring and reporting of progress, and support from the Pan-American and World Health organisations. Nevertheless, conditions for control of Chagas disease have not been so favourable in the Gran Chaco region of Bolivia, Argentina and to some extent in Paraguay, and there, the control initiative has not been so successful (Figure 8). Control in the dispersed indigenous communities is challenging, and it is not clear to what extent sylvatic T. infestans in the Gran Chaco may re-invade houses. In the author's opinion there is justification for an urgent re-launch of an adequately resourced and coordinated international programme to eliminate new cases of Chagas disease in the Gran Chaco. Chagas disease has also now been recognised as a global health problem due to increased human migration, with the need for awareness that it may be found worldwide far from regions of vector borne transmission. A priority has to be the continued development of candidates for better non-toxic, short term chemotherapy for elimination of infection. Thus, Chagas disease and visceral leishmaniasis continue to warrant intense research and strenuous international efforts at disease control. There has been astonishing progress with molecular genetics and comparative genomics, which is changing perceptions of the biology T. cruzi and Leishmania. It has become clear that genetic exchange may have substantial epidemiological impact, on adaptation to new vectors, hosts and ecological niches, and on emergence and spread of virulent and drug resistant strains. Further understanding of genetic diversity and genetic exchange will inform both diagnostics discovery and vaccine research. Academic challenges remain a deeper understanding of molecular genetics, immune evasion and host genetic susceptibility, which should now be achievable with new technological approaches. A major challenge is to bridge the gap between this pioneering research, and the delivery of simple, proven mechanisms of controlling these neglected diseases. In the author's view there is scope for the IEC to play a renewed role, through funded international exchange programmes, with unimpeded exchange of reagents, so that the latest research methods can be applied to obtain a deeper understanding of the biology of T. cruzi in its natural hosts and triatomine vector species. To the generous welcome of staff at the IEC and for the unstinting support of colleagues in the Chagas disease research group. Among many others, special thanks are due to Gilberta Bensabath, former director of the IEC, Ralph Lainson FRS, Marinete Póvoa, Adelson de Souza, José Itamar de Almeida, Francisco Gomes, R. Nivaldo de Almeida, José Aprigio Nunes, Roberto Naiff, Jeffrey Shaw, Habib Fraiha, and to Aldo Valente for providing continuity of Chagas disease research at IEC; also to Jorge Arias for stimulating a productive and enjoyable collaboration with the INPA, and to the multitude of other collaborators within Brazil and more widely in Latin America. Although not the focus of this celebratory review, the author is indebted to recent or current members of the research group at the LSHTM, in particular Matthew Yeo, Martin Lllewellyn, Michael Lewis, Louisa Messenger and Tapan Bhattacharryya, and to Alex Luquetti (Universidade Federal de Goiás, Goiânia), Hernan Carrasco (Universidad Central de Venezuela, Caracas), Ana Jansen (Fiocruz, Rio de Janeiro) and Antonieta Rojas de Arias (CEDIC, Asunción). Research was principally financed by the Wellcome Trust, IEC, INPA, and subsequently by the EC FP7 ChagasEpiNet contract 223034.